This retirement home is located on a golf course in west Omaha. 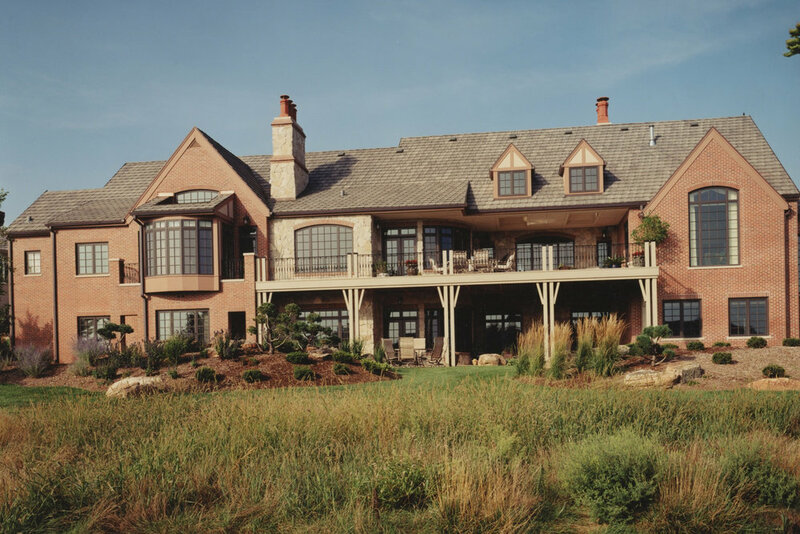 Our clients desired a home that felt like a European Villa and that would also provide several spaces to display their extensive collection of antique furnishings. 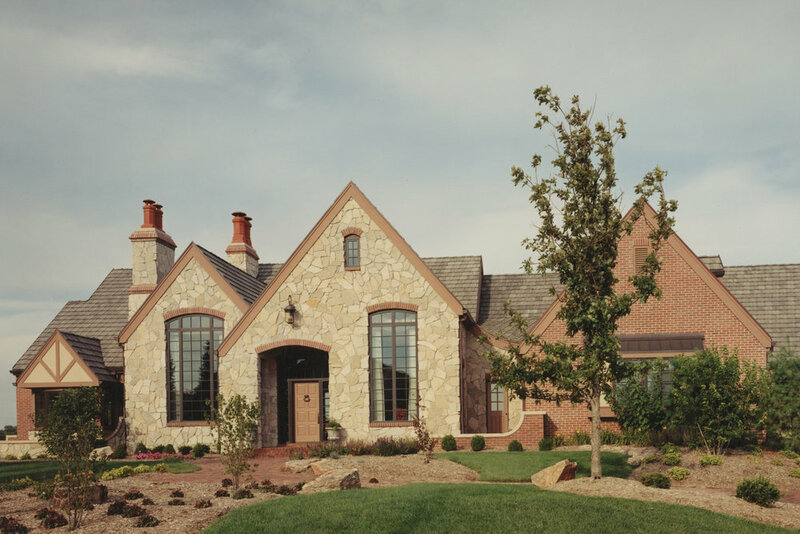 The exterior is maintenance free natural stone and brick. 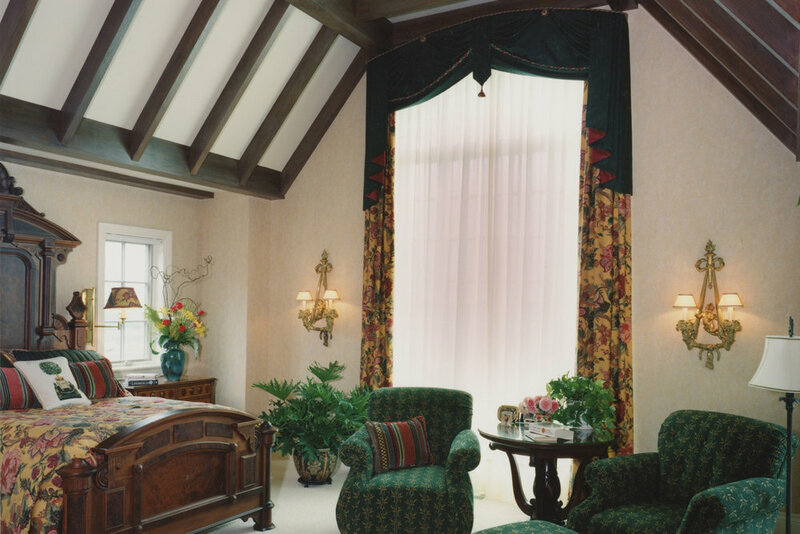 Each interior space is unique with custom designed beams, wood ceilings and even a "tile rug" in the all seasons room. There is even a hidden bookcase door that provides secondary access into the master suite. Views and outdoor access to the golf course were a priority for the majority of rooms on both levels.